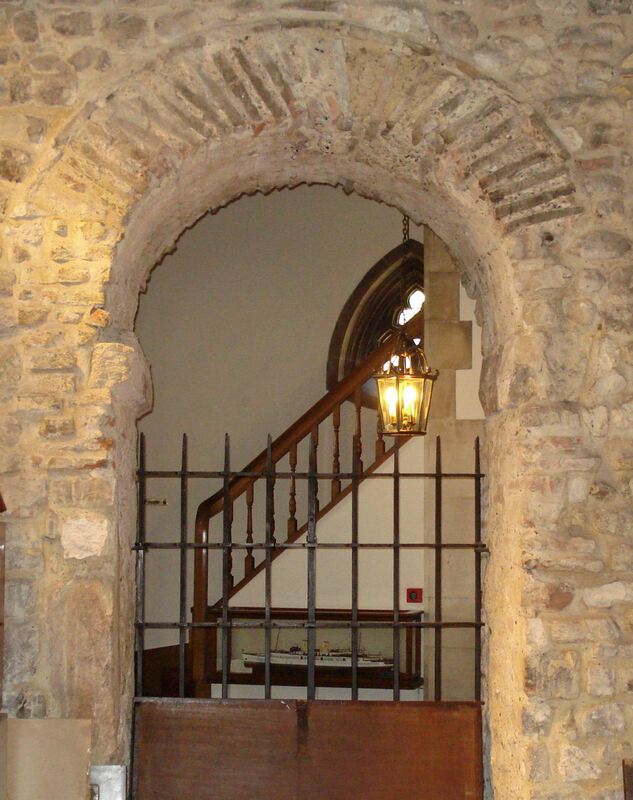 The Saxon Arch is believed to be the oldest surviving within the City. It stands in the west end of the nave, a reminder of the foundation of the church in the second half of the 7th century. Roman tiles are set into the arch which is without a keystone and is large for the period, suggesting a larger church building on this site. The full extent of the arch was revealed in 1940, when the bomb blast which destroyed the medieval church blew down the wall which was covering it. Saxon artefacts, including the base and part of the top of a wheelhead cross fell out of the nave pillars, and can now be seen in the Undercroft Museum.